Are you familiar with Skiathos? Tell others your opinion. Write a review. Skiathos is an island of untold beauty. 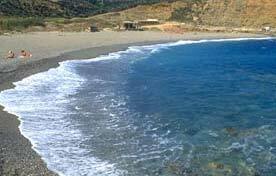 It is located right across Evias' and Thessalys' shores and east of Pelion. It belongs to the complex of North Sporades and along with Skopelos, Alonissos and Skyros, they are of the most popular travel destinations with international fame. Especially Skiathos is proud to be the most cosmopolitan, beautiful and enchanting island of this complex. And not unjustifiably. The piny mountains, endless golden shores and oddity of nature, transform into extraordinary natural phenomenons, like the renowned Lalaria, the hydroland in Koukounaries, but also the picturesque settlement of the town that combines in a unique way traditional architecture with the authentic style of Pelion. All that make visitors wanting to return to Skiathos. 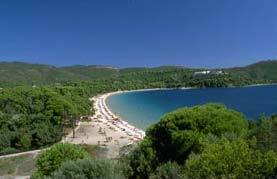 Locals, due to the blue of the sea and dense vegetation, have denominated Skiathos emerald island. 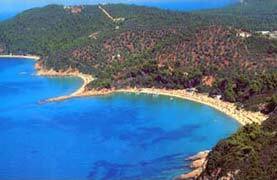 It has the biggest tourist development of all North Sporades islands. Skiathos, as Skopelos and Alonissos (Skyros administratively belongs to Evia), belongs to Magnesia, and it is the first island you see east of Pelion. It is 41 n.m. from Volos and 41 n.m. from Agios Constantinos. The island is no bigger than 48 sq. km and it is characterized by dense vegetation. It has small mountains and endless shores. Worth mentioning is that Skiathos has more than 60 beaches, most of which have been awarded with the Blue flag by the European Union. What is impressive about the island is that it has many coves and small ports you can reach only by sea, creating private paradises for those yachting. Skiathos is ideal for religious tourism as it has important historic monasteries (Monastery of Panagia Evaggelistria, Kounistra, Kehria, etc) connected with the island's history and attracts mostly during summer period thousands of pilgrims. The island has important historic monuments, like Kastro and Bourzti that are a pole of attraction for every visitor. This beautiful Aegean island was the home land of our great man of letters Alexander Papadiamantis. It is the place where this famous gazetteer inspired and wrote most of his plays. The house Alexander Papadiamantis spent his life is at the port and now operates as a museum. All around the island you will find luxurious hotels, furnished apartments and rooms to let offering a pleasant accommodation. Options for sports, sightseeing and entertainment satisfy all tastes. 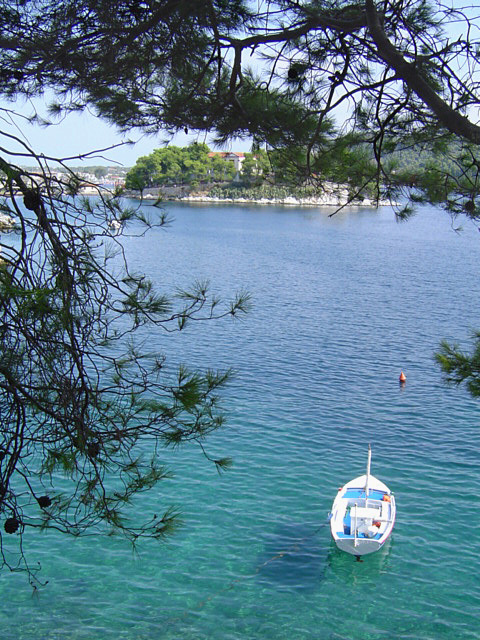 Take a tour among Skiathos villages. Skiathos is the only island of Sporades with an airport, making access easier to all islands of the complex. It has regular connection with the port of Agios Constantinos and the neighboring islands of Skopelos and Alonissos.